DALLAS, Aug 11, 2011/ — SWAG, the jewelry darling of NorthPark Center, is thrilled to announce their new partnerships with several dynamic designers and their 2011 trunk show schedule. Swag owner, Lisa Alfieri, welcomes each of these dynamic designers to her store which has built a reputation for carrying coveted designers, some with exclusivity to Texas and the U.S. Her expertise, discernment in designers and retail savvy stems from her family’s business — The Old World which opened in 1966 and relocated to Galleria Dallas in 1982. Lisa purchased The Old World from her parents which specialized in luxurious home decor in 1999 and immediately incorporated a stunning selection of jewelry lines. Lisa soon realized her taste in jewelry and eye for designer talent translated into a new venture. 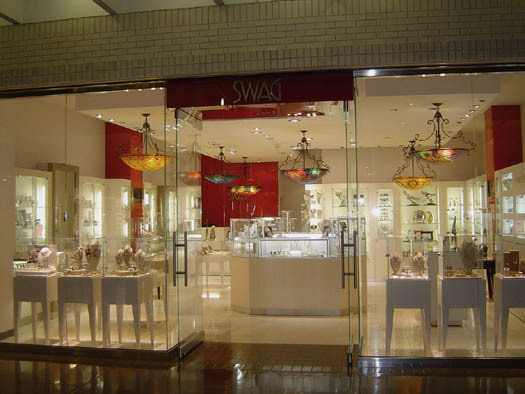 In December 2009 she opened SWAG in NorthPark Center to better showcase her favorite jewelry labels. Fans of SWAG enjoy the well merchandised storefront anchored by Neiman Marcus and Barneys and shop for an even wider selection of Lisa’s collection online. Designer Dian Malouf, whose clients consist of Oprah, Cameron Diaz and Elton John, will hold her trunk show from September 15th-18th at the store. This 4th generation Texan is known for her chunky and highly textured pieces and her ring titled the Go Girl, of which proceeds supports breast cancer research. Dian will appear and debut her new Swirl jewelry collection throughout the weekend. She will greet guests and sign her most recently published book, ‘Seldom Heard’ while complimentary swirl margaritas are served from 6 pm- 8 pm during the trunk show reception on Thursday the 15th. complimentary cocktails from 6 pm-8 pm during her trunk show reception on September 22nd. This show will continue through September 25th and highlight Cynthia Ann’s Houston born interchangeable charms constructed of 14- and 18k gold, diamonds and semi-precious stones. The interchangeable nature of these delicate and sophisticated hoops, charms and one-of-a-kind religious medals grant a new look daily for those she adorns. Designer Cheryl Finnegan (a.k.a. Finn) will accompany her new Tribal collection (pictured below) of Virgin Saints & Angels at Swag on October 14th (show through Oct 16th). 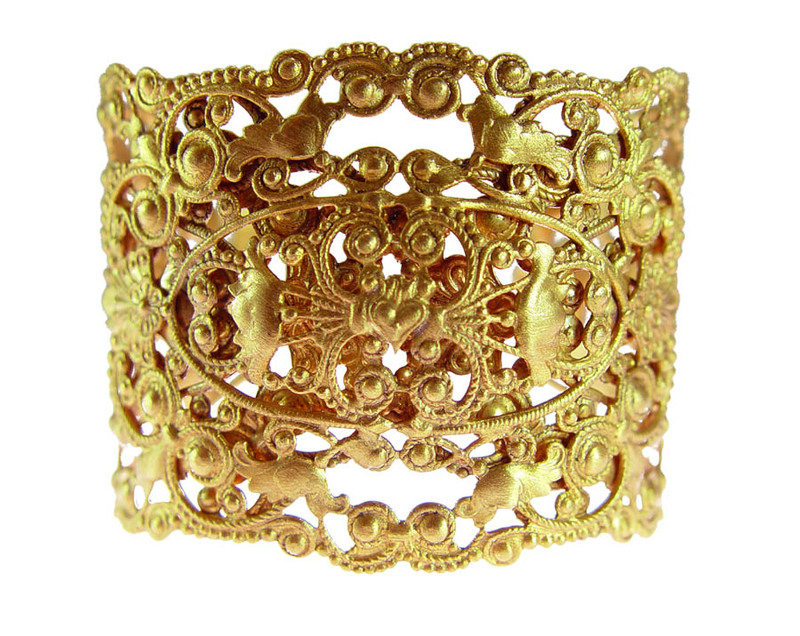 This widely celebrated line is know for their historic pieces made in San Miguel de Allende and inspired by goddesses, saints, biblical and Gothic figures that encourage enlightenment. VSA has been seen on Miley Cyrus, Maria Shriver, Kelly Osbourne, Brittany Spears, Paris Hilton, The Kardashian Sisters, Dave Navarro, Tim McGraw, Faith Hill, Lourdes & Madonna, Steven Tyler, David Beckham and more. 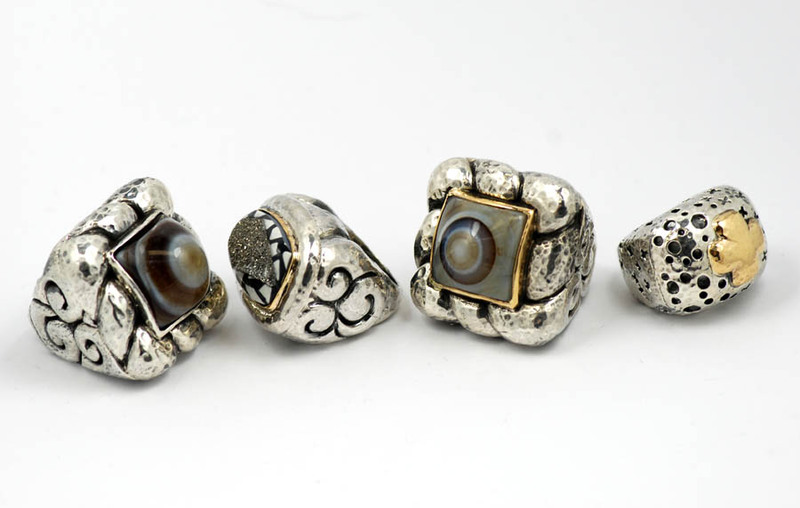 Since SWAG opened Lisa has attracted designers, in addition to the above, such as Thomas Sabo, Thomas Sabo Sterling Silver, Pandora, Alwand Vahan, Devon Leigh, Jose Maria Barrera, Jude Frances, Dana Kellin, Coralia Leets, Bella Rose, Rodriguez Otazu, King Baby Studio, Love Heals, Majorica Pearls, Monica Rich Kosann, Scott Kay, Simon Sebbag, Miguel Ases and more. And Lisa announces her new partnerships with the following designers who will be brought in store before 2012: Peter Lang- Australia, Lulu Frost, Elf Craft, Miriam Salat, Mariam Haskell, Siman Tu-Couture bridal jewelry, Bounkit, Ben Amun, Lori Bonn and Amanda Sterrett.